Heavy-duty CPU holder with glide track The ESI Ergo CPU05 is a heavy-duty CPU holder that allows CPU to fit seamlessly into the workspace. 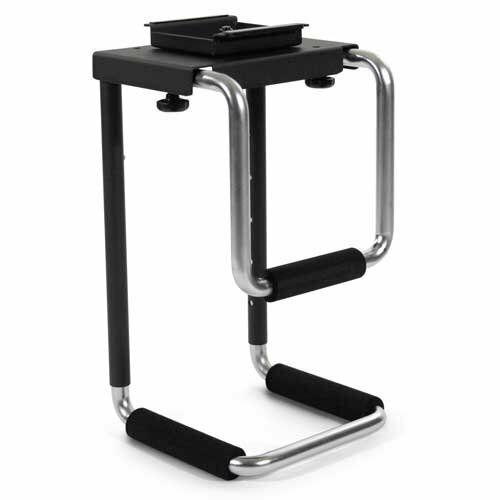 This CPU holder is capable to provide 360º swivels and is equipped with 17.75 glide track. The CPU05 has a load capacity of 100 lbs. and offers an adjustable width of 2.5-8.25 and an adjustable height of 13-21. If you have any questions about this product by ESI Ergo, contact us by completing and submitting the form below. If you are looking for a specif part number, please include it with your message.